Here is a fun set of Garnets. 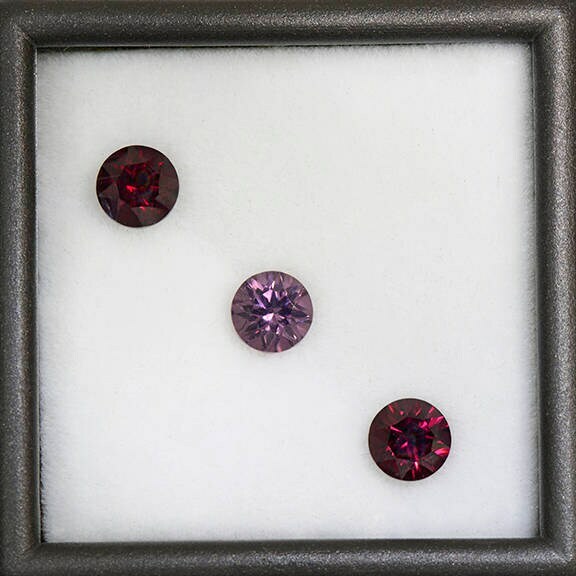 They are all Rhodolite garnet, however, there are the more traditional deep reds and one of the new grape purples. The set has 2 deep crimson red stones on either side of the gorgeous grape. They are all matched for size and look lovely together. 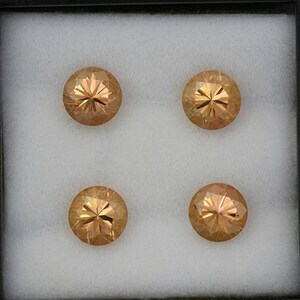 They are matching concave round cuts that have excellent light return and radiant flash. Concave cutting is created with cylindrical burs that make concave cuts into the surface of the gem. The table of the stone is still flat faceted to allow for the best light return. These stones are just absolutely beautiful in hand! Enjoy! 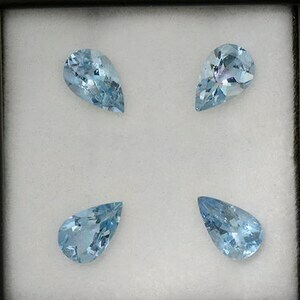 Beautiful Blue Aquamarine Gemstone Set from Erongo 2.72 tcw. 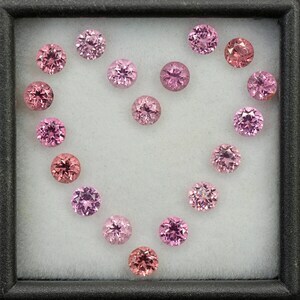 Brilliant Peach Bellini Zircon Gemstone Match Set from Tanzania 5.44 tcw. 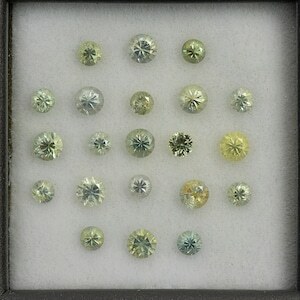 Brilliant Yellow Sapphire Gemstone Set from Montana 2.52 tcw.